All Open Skate, Rat Hockey, and Stick & Puck times are Open to the Public, but are subject to change or cancellation without any notice. All skaters and parents (or guardians) are expected to be respectful towards each other and follow the policies listed below as well as general ice arena policies. Men and Women’s rat hockey times are open to all players. Youth rat hockey is for ages 7-14. Proof of age may be asked for at any time. Full equipment is required for all participants. This includes: helmet, shoulder pads, elbow pads, hockey pants, shin pads, skates, gloves, athletic cup. A full visor/cage, mouth guard, and neck guard is recommended. Rat hockey is intended for pick-up games to be played. If an individual does not wish to play a game, they may not control a net for practice. 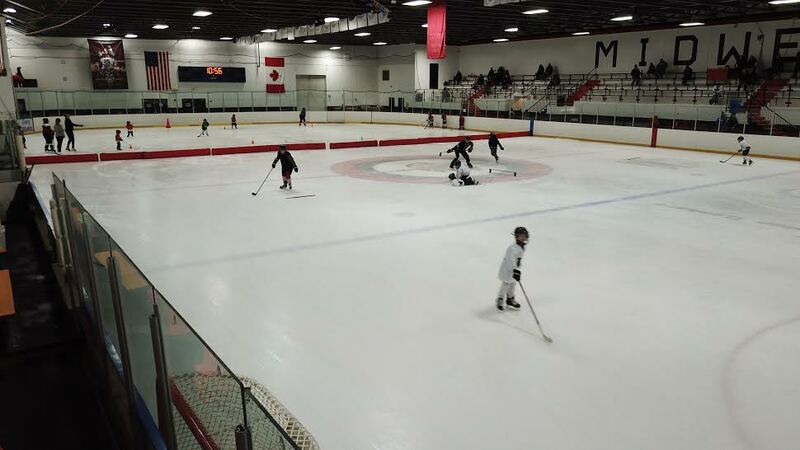 If there are not enough individuals for a game or a game is being played on half ice, the other net can be used for practice/skill development. Private hockey lessons are not permitted. Two nets will be provided during rat hockey times. No additional equipment or coaching tools are permitted. Participants are responsible for clearing the ice of pucks prior to the Zamboni taking the ice. There are no coaches or referees present during rat hockey times. Participants will organize games if interested and adhere to all conduct rules and regulations in this document and set by the ice arena. All players must exit the ice when the program is scheduled to end. All ice doors are to remain closed during the rat hockey session. All participants and spectators are expected to refrain from offensive and/or abusive behavior or language. Any actions or words deemed to be illegal, inappropriate and/or unsafe are not tolerated. Participants will refrain from the following: slapshots, checking, slashing, hooking, tripping, holding, cross checking, roughing, high sticking, fighting and unsportsmanlike conduct. All session times are subject to change. Reasonable notice of changes will be posted when possible. Violation of these policies will result in disciplinary action up to and including ejection and suspension from the rat hockey program. Must have Full Gear of Your Own – Rink cannot provide.